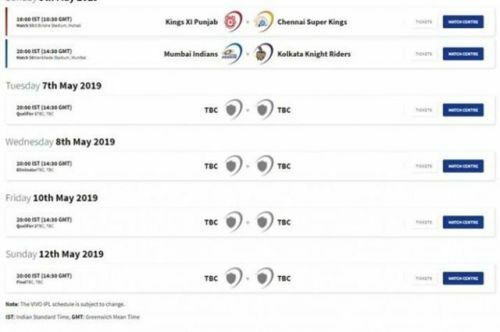 The Indian Premier League's official website goofed up on Tuesday while uploading the complete schedule for 2019 IPL. The BCCI which had announced the schedule for the first two weeks (17 matches) of 2019 IPL on February 19 affirmed that the full schedule will be released only after the dates for the 2019 Indian General elections are out. Meanwhile, on Tuesday (March 19) the full schedule of the 12th edition of the Indian Premier League was released with dates for the league phase matches. 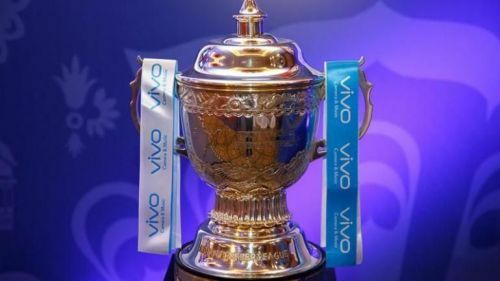 Earlier, the IPL had clashed with the Indian General Elections, twice - in 2009 the tournament was fully shifted to South Africa and in 2014 the first half was played at the United Arab Emirates while the second leg returned to India. A top BCCI official said in a press release, "The BCCI is pleased to announce that not only will the entire tournament be held in India, but also each of the eight franchises will play their 7 home games at their respective venues". "The Board thanks the Election Commission of India, local police authorities at each venue for their cooperation. This has ensured that the league sticks to the home and away format. The schedule for Playoffs will be announced later". From this pic, it is evident that the playoffs will begin on May 7th with the final slated for May 12th at Chennai while Vizag has been kept on standby should any of the games need to be moved out at the last moment. The formal announcement by the Indian cricket board for the playoffs dates and venues is expected in a next few days. The excitement is sky high ahead of the 12th season of the IPL which kicks off on March 23 at the MA Chidambaram Stadium with the defending champions Chennai Super Kings taking on Royal Challengers Bangalore. Let the great Indian summer party begin! IPL 2019: Match 15, MI vs CSK, Match Prediction: Who will win today's match?